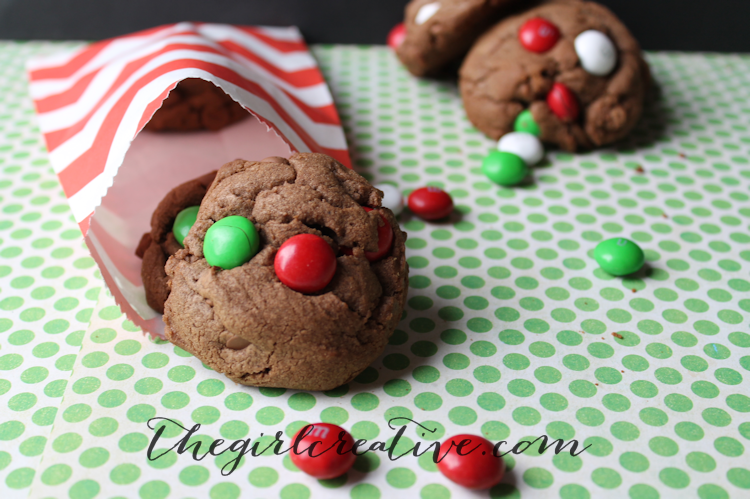 It’s that time of year for Christmas Cookie Exchanges and these delicious Double Chocolate Mint M&M Cookies would be great to share at one! If you sort of have a thing for chocolate and mint (like I do), these cookies are the thing for you! They are made from a basic chocolate chip cookie recipe but with a few minor additions. Step 1: Preheat oven to 350° *If you have a convection oven use the convection setting. Step 2: Using your KitchenAid mixer with the paddle attachment mix Crisco, brown sugar and granulated sugar together until creamy. Step 3: Add vanilla and 2 eggs and mix until combined well. Step 4: Add salt and baking soda and mix until combined well. Step 5: Slowly add flour and mix until combined. *You don’t want to mix on a higher speed during this step because you’ll get flour all over your counter. I usually do one cup at a time and then the 1/4 cup last and mix on low. Once it’s mixed pretty well I turn my mixer up a little higher for about 10 seconds just to make sure all of the ingredients are mixed well. Step 6: Add 1/2 C of unsweetened cocoa and mix until combined. Step 7: Using a wooden spoon, stir in about half a bag of the chocolate chips and mint M&Ms. Step 8: Using a cookie dough scoop drop a dozen large spoonfuls of cookie dough onto cookie sheet. Try to get them as round as you can. 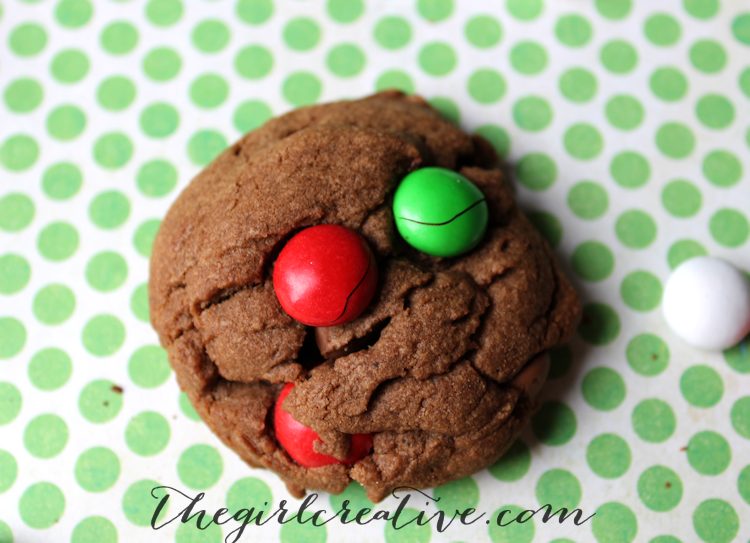 Add a few M&M’s to the top of your cookie (optional) and bake for 6-8 minutes. Move to cooling rack immediately after removing from oven. Let cool. These cookies are so rich and fluffy that you just may be able to stop after one. Maybe! 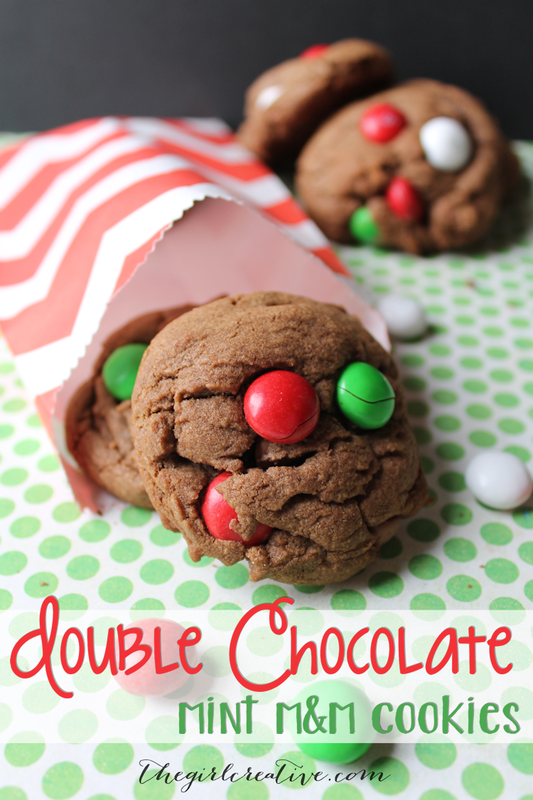 I’m excited to partner with Melanie from Reasons to Skip the Housework and a bunch of other amazing bloggers to bring you the ultimate collection of cookie exchange recipes! 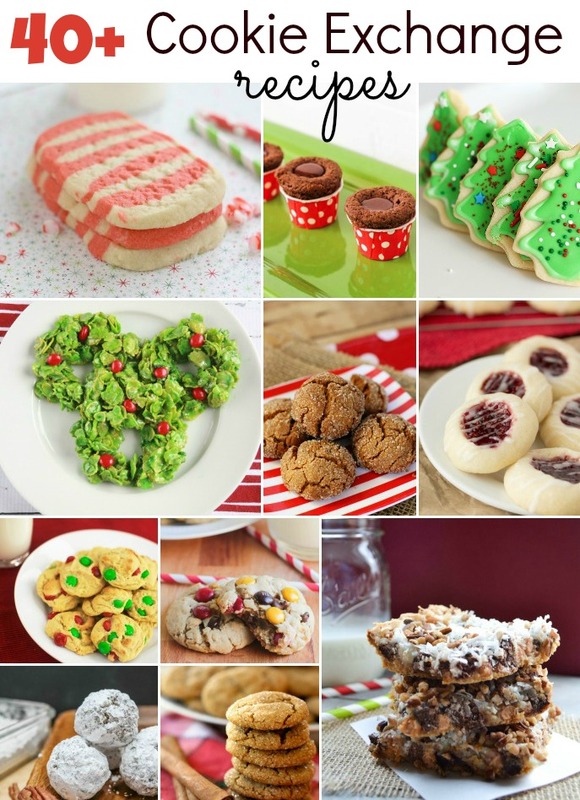 There are over 40 cookie recipes for you to drool over. 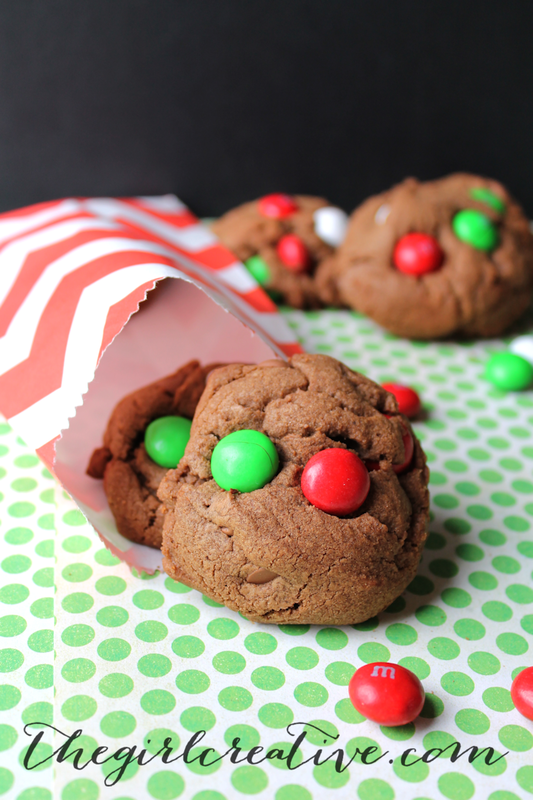 Reasons To Skip The Housework’s board The Cookie Exchange on Pinterest.